Yes I am born and raised in the United States, and as everyone knows I am proud to be Jewish. However, the name of the website is Holland’s Heroes, with its origins being the experiences of my parents in Nazi-occupied Holland. Well today I have a pride for my Dutch background I have not felt in quite some time as Holland steps to the plate and shows the world what it means to do the right thing by approving a motion stopping financial aid that was being used by the Palestinian Authority to support terrorists in Israeli prisons. I have always said that what sets the Dutch apart is that it is truly a nation that tries to be fair and tolerant towards everyone. That approach sometimes puts them at odds with my viewpoint, but today with this action they showed the sincerity in their beliefs. 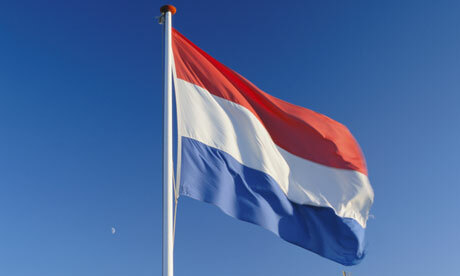 Today as much as ever, I am proud to be Dutch. This entry was posted on Monday, July 14th, 2014 at 7:40 pm	and tagged with Dutch, Holland, Jewish, liberal, Nazi, Nazi-occupied, Palestinian Authority, tweede kamer, United States and posted in Uncategorized. You can follow any responses to this entry through the RSS 2.0 feed.